It's finally time for the Coffee Loving Papercrafters Summer blog hop! 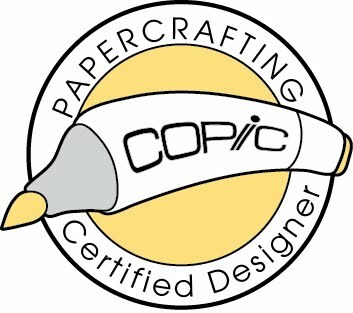 Since the fabulous Unity Stamp Co is a Super Sponsor for the hop I just knew I needed to join in the fun (and use a Unity stamp of course)! I started by cutting a tag from watercolor paper and dabbing Distress Paint through this Tim Holtz "Splatter" stencil. Why call them splatters? We all know they're coffee stains! I sprayed the tag with water and then sprayed it with Dylusions Ink Sprays in yellow and pink, then sprayed even more water on top of that. I let the ink move around and bleed before I dried it with my heat tool. Ok, this step is easily my favorite. 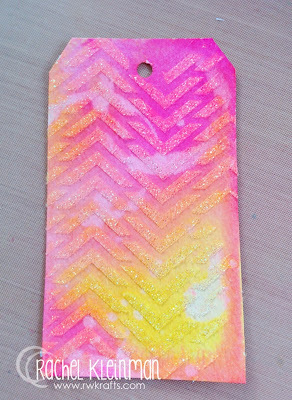 I used a Crafter's Workshop "Chevrons" stencil and spread some Glass Bead Glitter Gel over top with a palette knife. I let the glitter gel dry completely WITHOUT using a heat gun. This ensures you get a clearer result without opaque bubbles from the heat gun. You can even still see the coffee stains through the gel! Love it. While I waited for the glitter gel to dry I started on my coffee mugs. 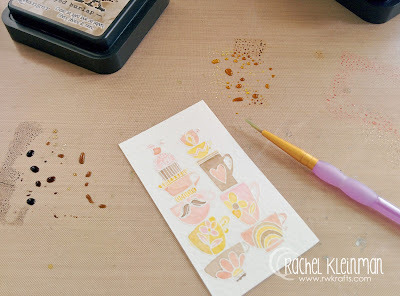 I white heat embossed this cute image from Unity Stamp Co "In Love with Love" stamp kit. I watercolored the image with only three Distress Ink colors: Frayed Burlap, Tattered Rose, and Fossilized Amber. I fussy cut the image so I could lay it on my tag however I wanted. 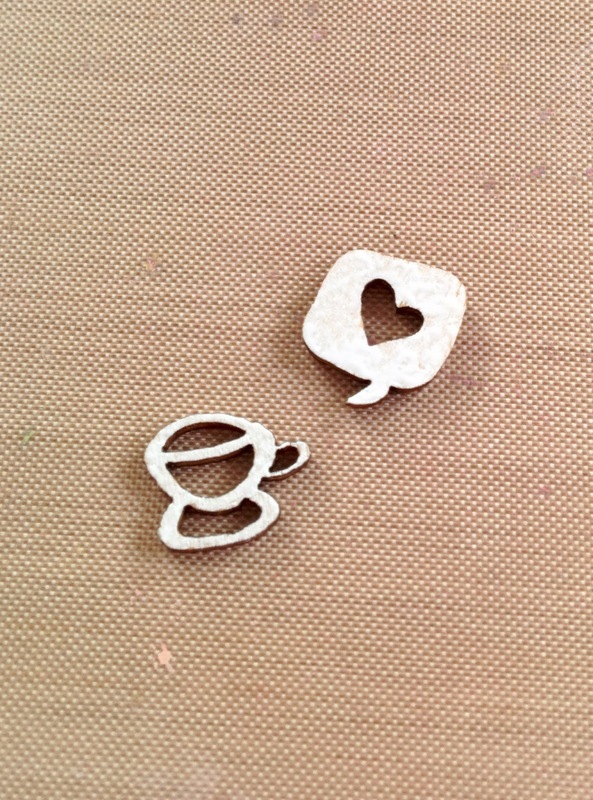 I just had to share these, aren't they cute?! Little wood veneers from Gossomer Blue. I heat embossed the sentiment (also from the Unity kit) in black and confetti cut the words. Happy Coffee Lover's Blog Hop Day!!! Make sure to hop along and leave comments... there are THIRTY sponsors this time giving away prizes! Ranger Inkssentials Mister, 2 oz. Love, love, love the background! 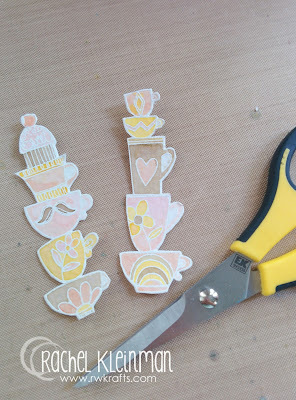 And the fussy cutting....wow. This is fantastic! I love how you built your background. It really looks great! Wow...love the colors...what a fabulous tag! What a bright, colorful, summery card! 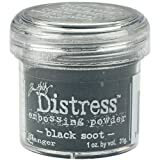 It has it all, distress paints, stamps, die cuts, stenciling, wood cuts. Wowza, what a great way to incorporate it all!! awesome tag.. i love all those fun bright colors.. I just LOVE this pretty color blend! Really nice design! 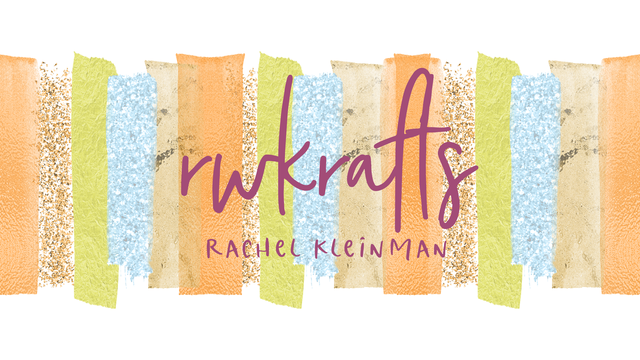 Rachel...your tag is AWESOME...fabulous colors and how sweet are those veneers?! Loving all of that shimmer and color!! 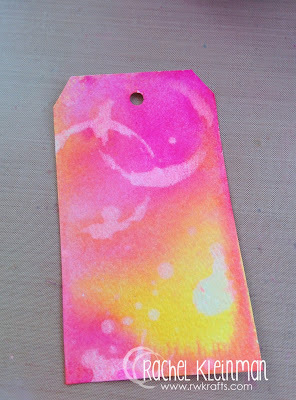 Super fun tag,great colors and thanks for the how to do it! Gorgeous colors! Love the glass bead glitter gel! Love your colorfully gorgeous tag!! What a wonderful tag, love all the stages you went through to make this tag special! Happy hopping! Great step by step tutorial, loving the tip on the glitter gel. 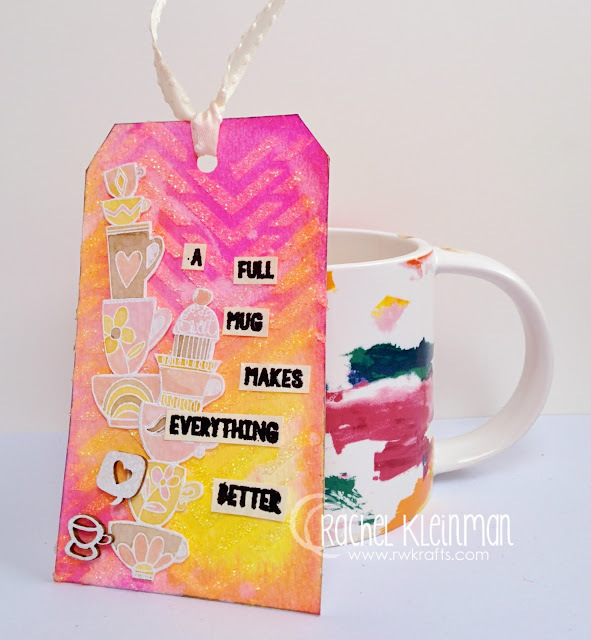 This tag is just super beautiful, loving the colors, the sparkle, those tiny wood cups and of course the unity image water colored!!! Rachel this is AMAZING!! Love the dylusions and the glitter gel on it. WOW! Rachel, your tag is simply amazing! Love the colors, the texture, and that added bit of glitter! Great background on the tag. Very cool. so pretty, great technique ! A most delightful coffee card, indeed! Summery and fabulous! Rachel, your beautiful tag screams summer! And coffee, and Love the sentiment!!! Oooh, thanks for sharing all your techniques! So fun! this is so super fun, wow, love it! Beautiful work - your inking looks fabulous! Such a pretty work of art! I completely forgot all about that stencil...off to go dig it out! Glittery fun and sherbet colors make for a gorgeous coffee tag! Beautiful, bright and cool creation with summer theme, thanks for sharing the steps! Love those gorgeous colors! 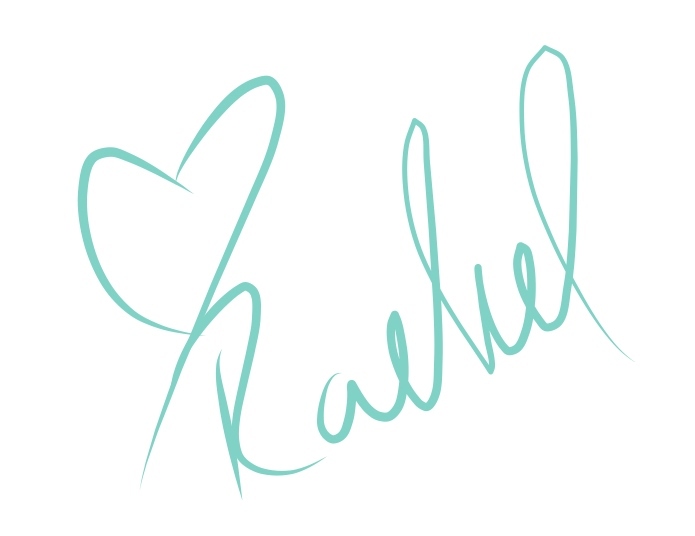 Just a darling tag, Rachel! Now this is a stack of inky goodness! 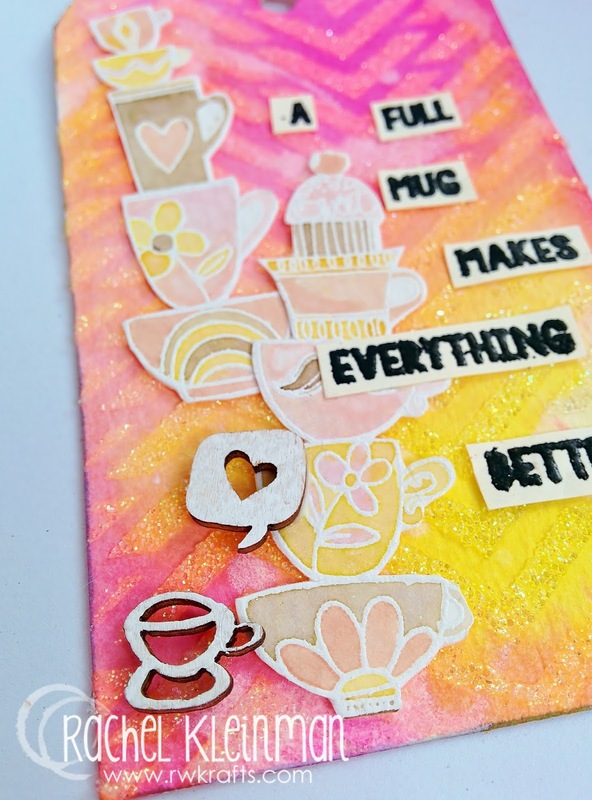 Love the glittery, vibrant inky background you created! Fabulous! I love the colors of your mugs and the background is just gorgeous! Awesome! What wonderful colors you used - it makes me happy!! Such fun, bright colors! Fabulous background, too!! Very pretty. Love the colors and textures. Is this awesome or what? Love the background. Beautiful tag! Love the colors too! 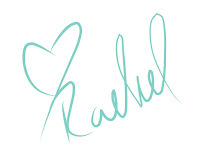 What a beautiful and fun tag, Rachel. 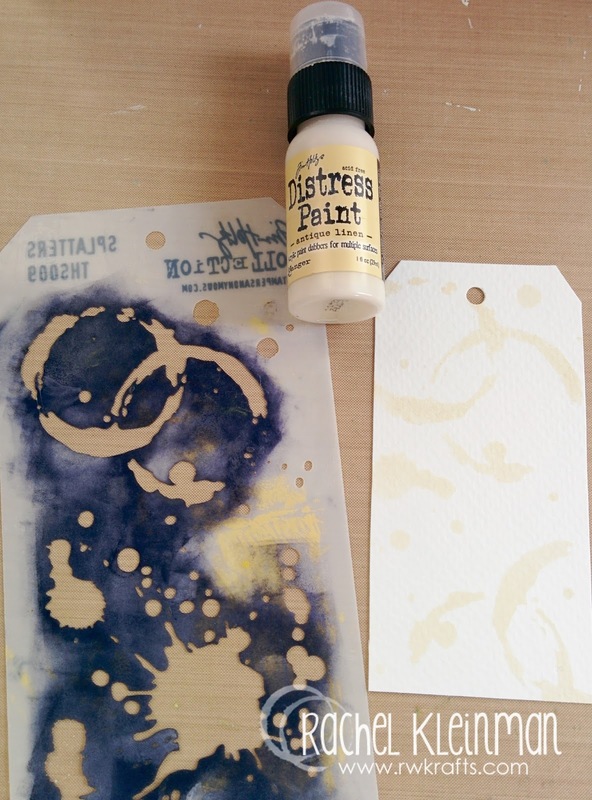 Using the gel with the stencil looks awesome,. Thanks for sharing. Always enjoy your creativeness, Rachel; this is just lovely! What a beautiful summerly coffee tag. I just love it! so fun, love the colors! Love those stackable mugs! The colors are awesome! Gorgeous tag! love you background! that tag is AMAZING! thanks for walking through the steps - beautiful job! 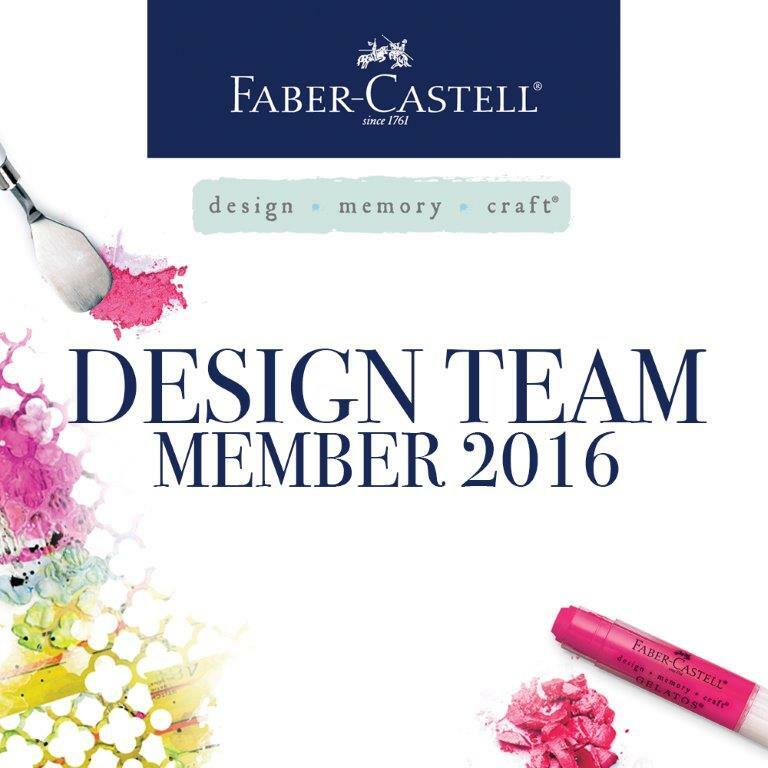 OH fabulous tag, I love the colors and the great design. I think I may have to get some of those dilutional sprays, love these colors you have used. Sweet tag! Great colors! Blessings! What a happy tag! I love all those cups! Amazing tag!! I am in love with the colours you used! So vibrant and happy! 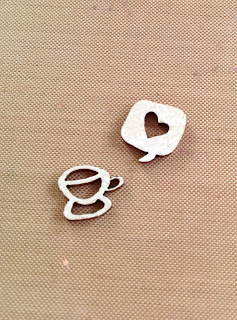 the texture and those cute coffee cups are so adorable!! Hi Rachel!!! Gorgeous projects!! TFS!! !